X-43M Multi Grip Crossmember is rated 4.9 out of 5 by 20. Rated 5 out of 5 by DrJPat from Added pull up options I bought this to go on my RML-490C rack. I ordered this to allow for different types of pullups. I went from a gym with a lat pulldown machine to a home gym without one. This crossmember allowed me to get more options for my pullups. I also purchased this because it added a few inches of clearance for my pullups. I dont like to have to bend my knees and hold my legs up just to do a pullup. The crossmember solved that problem. Rated 5 out of 5 by BenS from Love It Bought this to go along with my RML-390f Monster Lite rack. I decided to get this in addition to the single skinny pull-up bar to add some extra weight to the rear of the rack and obviously for the different pull-up variations. 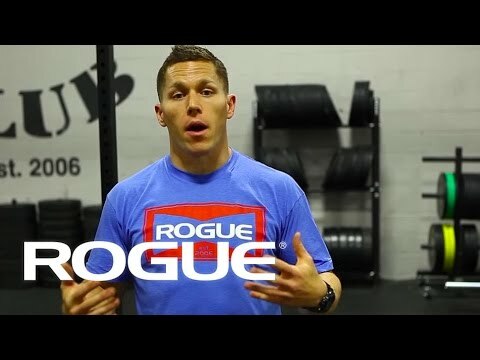 I love neutral grip work in general, especially as a shoulder saving movement and this piece does not disappoint. It is also very useful as an anchor point for setting up the Spud Inc Econo Lat Pull. I use the X43 multiple times per week and always look forward to it. Get this. Rated 5 out of 5 by randallwise from Long needed neutral grip Shortly after purchasing my wall-mount a few years ago I added home-made globe grips and rope grips. Since then the one piece missing has been neutral grips for pull ups. Last winter I added onto my Infinity rig to be a hybrid half-rack/wall-mount and that afforded the opportunity to add this multi-grip cross-member (I rarely used the 2" cross-member so this was a perfect replacement. I have FatGripz I can use when needed). My boys love to play on the Multi-grip and make up "Ninja Warrior" routines, climbing all over the rig without touching the floor. I'm really happy with my setup as it has evolved to accommodate the different training programs me, my family and neighbors perform, from CrossFit to power-lifting & everything in between. Up to five of us can perform different workouts simultaneously in a compact space. Rated 5 out of 5 by Merve from Just what I was looking for... 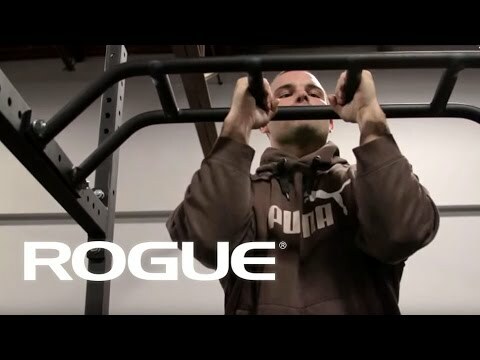 I wanted a pull up bar that offered wide and narrow grips as well as a neutral grip and allow for pull up variations such as towel pull ups, lever pull ups, etc. This appeared perfect, trouble was, I don't own an R3 rack, nor do I have the room for said rack. I purchased this pull up bar and made a mounting system to fasten it to my ceiling. I was able to get everything I wanted from the pull up bar without taking up additional floor space! This bar works great and even comes with the necessary hardware to bolt it up!